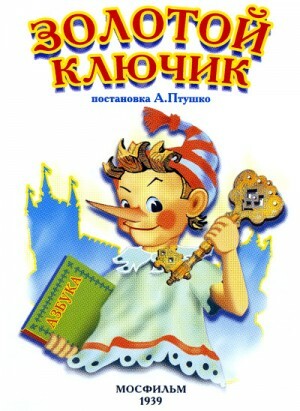 A screen version of the fairy-tale of the same name by Alexey Tolstoy based on Italian fairy-tales. Karlo, a poor organ-grinder, makes Buratino, a speaking, long-nosed little man from a simple chock. Having escaped from his home Buratino found himself in a world of evil and brutal beings, was beat and outwitted not once, but he kept up his courage, betrayed nobody and always remembered his father’s goodness. In the end Buratino got a golden key and opened for his friend a secret door that led to a country where only good and fair people lived. Stop motion cartoon about two Chinese kids in search of a land free of slavery and racism. 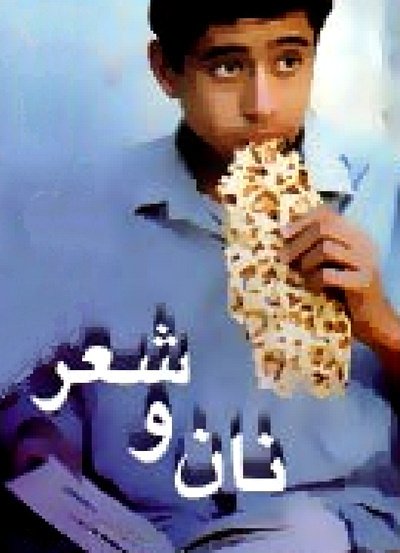 This Iranian tale of a brash young delivery boy who wants to be a poet at all costs is based on a hit TV series. Majid, a boy of 15, becomes infatuated with Victor Hugo’s “Les Miserables.” Too poor to buy a copy, he tires of reading the long book in the public library. One day he replaces Les Miserable at the library with his book. 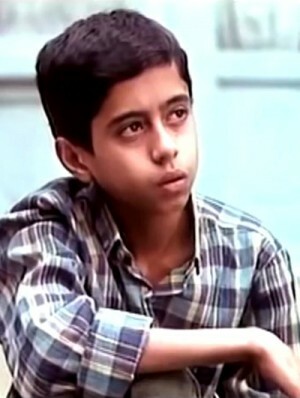 But Majid's brother-in-low had left a bank check in his book which now falls into a stranger's hand, and that causes Majid a great deal of trouble. Now he must track the book down before the check is discovered. Will he succeed, and more importantly, will he ever make it as a poet? A charming tale of a young man struggling to realize his dreams. 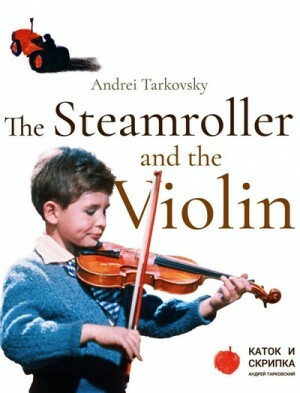 The Steamroller and the Violin is a relatively unknown student film made in 1960 by the eminent Russian filmmaker Andrei Tarkovsky. 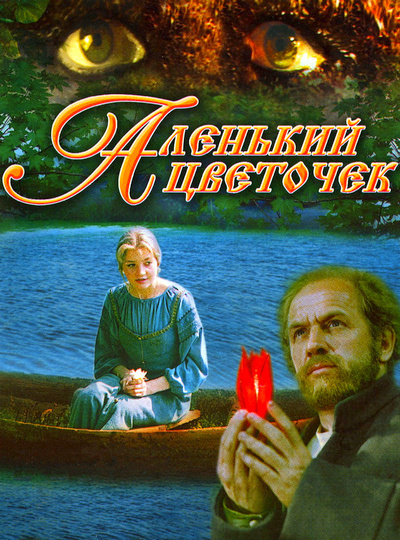 Made when Tarkovsky was only 28 years old, the film is an accomplished work by a burgeoning genius. The basic premise is about the unlikely friendship that begins between a little boy Sasha (Igor Fomchenko) and a city worker Sergey (Vladimir Zamansky) who is paving the street outside the boy's apartment home. It starts when the man protects the boy from some of the neighborhood bullies. Sergey allows Sasha to ride on his steamroller and invites him for lunch. The boy learns from his friend the importance of defending the weak, while Sergey is touched by Sasha's love of music. The boy plays his violin for Sergey, and although his mother refuses to allow him out for the evening with his friend, the two look forward to a continuing friendship. Hanna-Barbera made one of its rare forays into prime-time entertainment with this way-out, way-ahead-of-its-time mash-up of American literature and fantasy adventure that mixes live action and animation. 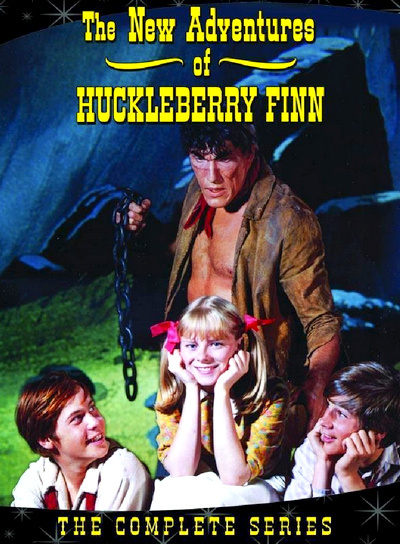 Set during the events of Mark Twain's classic Tom Sawyer, the series places Tom Sawyer (Kevin Schultz), Huck Finn (Michael Shea) and Becky Thatcher (Lu Ann Haslam) in deadly peril following Injun Joe's (Ted Cassidy) escape from the courtroom. When Huck, Tom and Becky entered a cave to elude Injun Joe they inadvertently discovered a mysterious portal that took them to strange animated worlds filled with pirates, leprechauns, evil castles, the Land of La Mancha, enchanted valleys, a Gorgon creature, Hercules, Conquistadors, and the sunken city of Atlantis. Will they ever find their way home is anyone's guess, but for now they must keep one step ahead of the vengeful Injun Joe who has vowed "I'll find you! No matter where you go, I'll find you!" 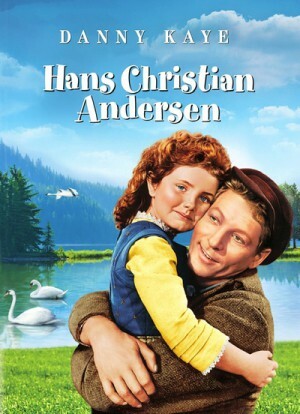 "Hans Christian Andersen" announces right from the start that this is a fantasist approach to biography, with only limited nods to the actual life of the celebrated Danish storyteller that gives his name to the project. The film is a musical, starring Danny Kaye as Hans Christian Andersen, a poor shoemaker with a penchant and skill for the telling of tales that eventually leads him from small-town Odense to Copenhagen accompanied by his apprentice, Peter. Andersen’s life in Odense seems to involve more story-telling than cobbling, as the town’s children flock to him to hear his tales, for instance 'The Emperor’s New Clothes'. In Copenhagen he eventually gets involved with the Royal Danish Ballet, being commissioned to make some new ballet shoes for their prima ballerina who is ever-arguing (and making-up) with the dance director, her husband. Andersen becomes embroiled in this situation by falling madly in love with the prima ballerina, eventually writing 'The Little Mermaid' for her as an expression of his love. Young Alec Ramsey and his father are on a ship somewhere off the coast of Africa. Alec is bored and while wandering around the ship witnesses how a group of men try to tame a beautiful black stallion. Later on, the boy gives the stallion a few sugar cubes and angers one of its guards. During a powerful storm the ship catches fire and people are forced to jump in the ocean. The stallion is also set free. While the ship slowly begins to sink, Alec and the stallion find each other in the freezing water and together reach a deserted island. It takes a long time before some Italian fishermen discover Alec. During that time he and the stallion learn to trust each other and then become best friends. 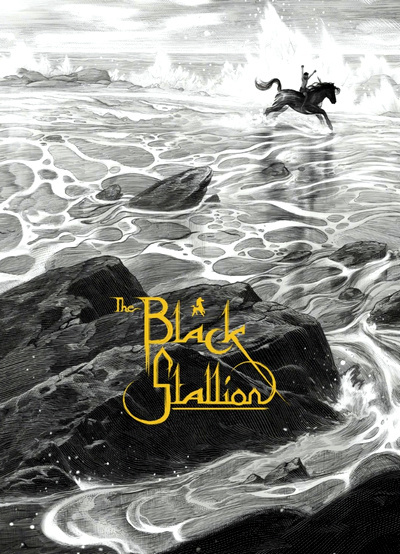 Upon their rescue, Alec and the magnificent horse continue their adventures when they join forces with ex-jockey and horse trainer Henry Dailey. This is a remarkably beautiful looking film with great photography. There are so many stunning moments throughout the film with beautiful sunsets, the blue ocean, and other wonderful scenic elements. The film is a fantastic moving painting. The score for the film is beautiful and hypnotic. The music and photography are terrific together. The filmmaking is pure art: more poetic and reflective than commercial. It mesmerizes and creates a real sense of cinematic magic. A faithful retelling of Charles Dickens's 1843 Victorian classic novella "A Christmas Carol". It was released in England by Twickenham Studios in 1935, as the first feature-length talkie adaptation of the Dickens classic. 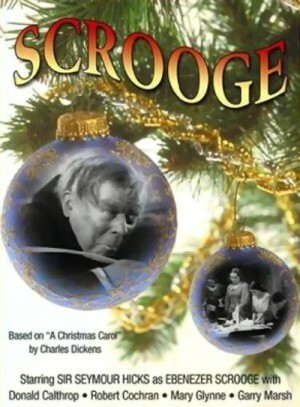 The familiar Victorian moralistic story is about a London miser, Ebenezer Scrooge (Seymour Hicks), who on Christmas Eve is visited by three ghosts, the Ghosts of Christmas Past (Marie Ney), Present (Oscar Asche) and Future ( C. V. France), who haunt him and finally convince him to mend his mean-spirited ways and join the human race in celebrating the true meaning of Christmas. The film opens with a 75th birthday party for Helene (Edith Scob), an elegant widow who lives in a tasteful country estate an hour's drive from Paris. Her three adult children are there to celebrate along with their families. 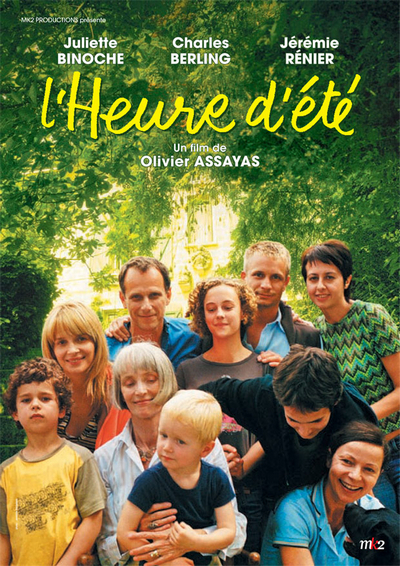 Dutiful Frederic (Charles Berling) is the eldest, and the only one still living in France. Jeremie (Jeremie Renier) has been living in Beijing with his family and working for Puma, the tennis shoes company. Adrienne (Juliette Binoche) is living in New York with her American boyfriend (Kyle Eastwood, Clint's son), designing goods for Takashimaya, the Japanese department store chain. The sudden death of the family matriarch Helene leaves her children with the painful dissection of her home, personal belongings and the last of the art collection of her Uncle Paul, a famous artist who died leaving her many valuable heirlooms. Tension between the three grown up siblings is palpable as they realise that their lives and desires have diverged completely; they all retain fond memories of a childhood centered on visits to the house, but they all have completely different needs.